How to export OST to PST format? 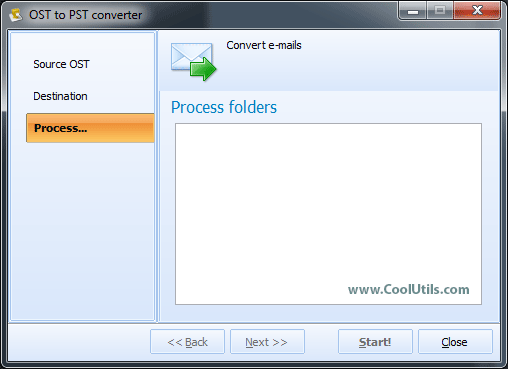 You are here: CoolUtils > OST to PST Converter > How to export OST to PST format? What is OST to PST conversion for? What are the advantages of third party converters? Such need occurs when a user would like to access emails without Microsoft Exchange. OST file stores mail history for accessing Exchange account offline. User can import his Exchange mails to Microsoft Outlook. To do this, Exchange storage file (OST) has to be converted to PST format. A PST copy can be used for restoring Exchange mails inside Outlook client. Being rather secured environment, Microsoft Exchange server still can crash, destroying online mail storage. In this situation the only source of mail information is local OST file that usually contains up-to-date offline version of message history together with other info like contacts, calendar, etc. 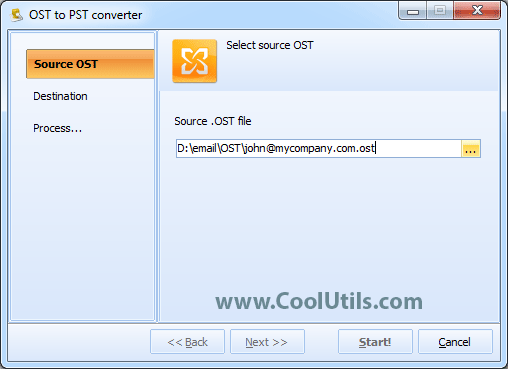 Total OST to PST Converter is a third-party utility that performs Exchange mail data restoration by converting OST file to PST format, compatible with Microsoft Outlook software. Users who do not deal with data restoration often and do not have special utilities for this may face problems like how to turn .ost from Outlook 2003 into a .pst file. There are integrated tools, such as OST Integrity or Scanost.exe that are usually offered for these needs. However, you may not expect for successful mail restoration with the use of these utilities. They poorly can extract all mail structure, attachments, contact information and other data components for big sized OST files. To get a full version of OST data exported to PST you will need a third-party solution. 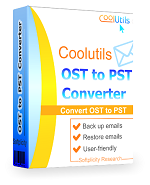 CoolUtils developers have created a simple Total OST to PST Converter with powerful data exporting technology. It successfully exports all versions of OST files, being suitable for all versions of Microsoft Outlook. Process: the list of folders that will be processed is shown. After inputting these parameters user needs to activate conversion pressing Start! button. As a result, he will get a PST copy of Exchange storage file. Additional data besides emails (contacts, calendar, etc.) are exported from OST to PST too.